CLYW decided that their rad collection of 5-panel caps just wasn’t enough for our heads, and now they’ve announced these amazing toques! Available in two colorways, “Hulk Smash” and “Gold Nugget”, these head-warmers are made in the USA and are guaranteed to make you feel at least 63% more like a lumberjack. Expect to see these super-limited noggin cozies show up soon at YoYoExpert.com. The 8th Malaysian Yo-Yo Championship (MYYC) is our club’s biggest annual event after the Central Malaysia Yo-Yo Championship where we unite the yo-yo players from all over Malaysia under one community to compete for the Malaysian Yo-Yo Champion Title in 4 different divisions. These divisions are Single A Division, Double A Division, Off-String Division and Freehand Division. MYYC 2012 will be held on December 15th & 16th at Fahrenheit88, Kuala Lumpur. This is an open contest to where families are free to attend and watch the competitors compete for the Malaysian Champion title as well as join in the fun we have in store for them. In addition, we will hold a yoyo workshop for those who are interested to start yo-yoing free of charge. Full details and schedule are posted on the contest website. 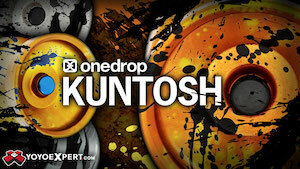 YoYoExpert has posted a peek at their 2013 trading card series…and this year’s lineup is 65 cards, their biggest yet! I’m incredibly proud to also tell you that a few players will have special 365yoyotricks.com cards in the series…I’m literally grinning from ear-to-ear right now just typing about it. This year’s series is shaping up to be fantastic, and I can’t wait to get my set. 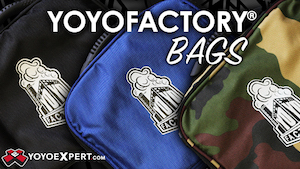 Tonight at 10:00 PM EST the LOOP 1080 releases at YoYoExpert as part of Wave 2 of the YoYoFactory Champions Collection. Retail price is $23.99 each. 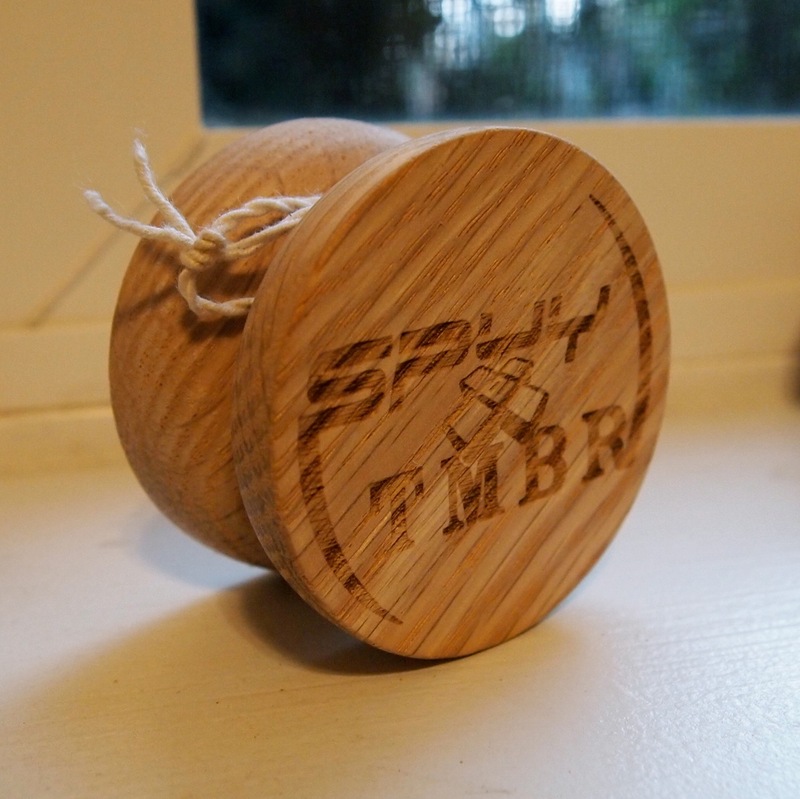 This highly anticipated yo-yo was designed with input from World Yo-Yo Champion Shu Takada and was already used to win the 2012 National Yo-Yo Contest by Patrick Mitchell. The Loop 1080 has improved weight distribution and a fully centered adjustment mechanism, giving it a completely different feel and improved performance from the much-vaunted (and highly impressive) Loop 900. YoYoFactory seems to have finally cracked the secret of the perfect looping yoyo without requiring modification…how many world and national titles do you think the Loop 1080 will bring in 2013? 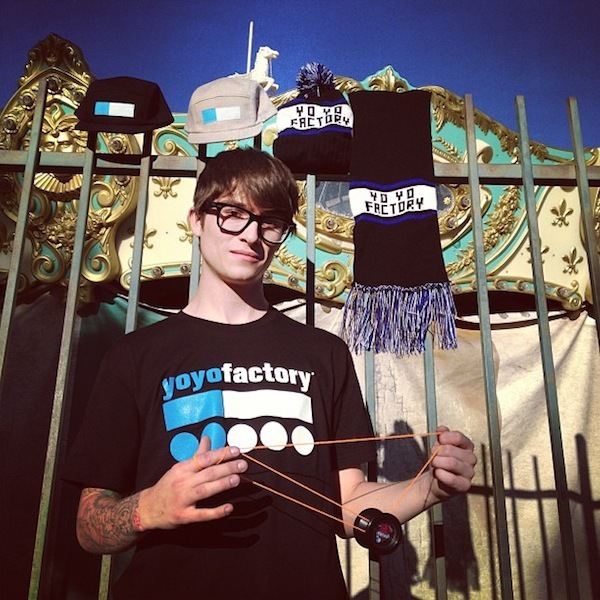 YoYoFactory has announced their Winter 2012 Capsule Collection…two new 5-panel hats, a new t-shirt, and YoYoFactory beanies and scarves! Available soon at YoYoExpert.com and other select retailers. YoYoFactory presents the 2nd wave of Champions Collection signature model yoyos. They’ve put together a great range of Yo-Yos, from the bright pink Paul Han ONEstar to the silky matte black Miguel Correa Genesis+. They have new, original models like the machined plastic Severe for Tyler Severance, Harold Owen III’s H.O.T.or the game changing Shu Takada Loop1080. They’ve even brought on a new twist on a classic with the Victor Gravitsky Protostar, as well as a new yo-yo with an old friend, the Proton with Kentaro Kimura. Check out YoYoFactory’s individual posts of each model for the full story on each model, plus specs and detailed photos. Expect the YoYoFactory Champions Collection to hit YoYoExpert around the 1st week of December!